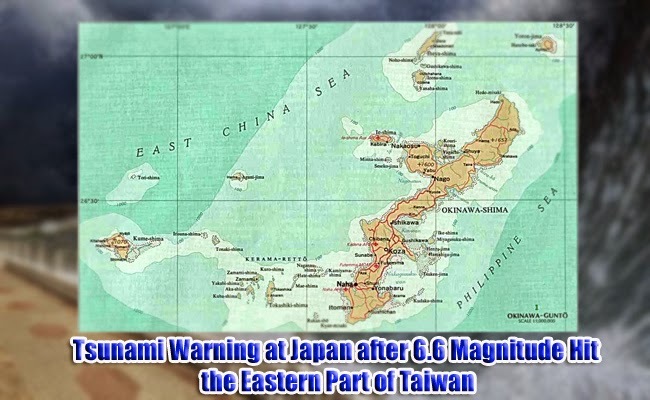 A forecast of around one meter high tsunami was repoted to hit Japan’s far south area on April 20 after an earthquake with the magnitude of 6.6 had hit the eastern part of Taiwan. NHK, national broadcaster, reported that it is possible for the waves to hit the southern part of Okinawa after the earthquake in Yonaguni. There are some residents who said that buildings had swayed in Taipei, but according to the statement, there was no visible damage. According to Miyako City government, they are issuing warning through their radio system to get the citizens ready and as far from the sea as they can. NHK explained that tsunami are waves that are irregular and may not always be huge. It may have arrived in Yonaguni but the details are yet to be reported. However, Pacific Tsunami Warning Centre says that there was no threat detected from the said earthquake. Japan is in the area where four tectonic plates meets giving high level of earthquake risks. In 2011, a huge tsunami hit Japan due to 9.0 magnitude earthquake with more that 18,000 dead.